Singing games for children compiled by Mary A. Wollaston, edited by C. Ward Crampton. The Song Play Book, New York: Barnes, 1917, (score) 1924. The Song Play Book, New York: Barnes, 1917, ?th edition (score), 1920. The Song Play Book, New York: Barnes, 1917, ?th edition, 1922. 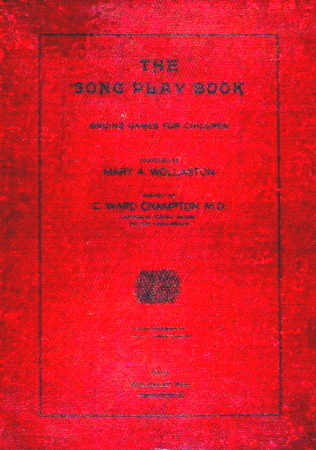 The Song Play Book, New York: Barnes, 1917, 7th edition (score), 1926. The Song Play Book, New York: Barnes, 1917, 7th edition, 1927. The Song Play Book, New York: Barnes, 1917, ?th edition (score), 1928. The Song Play Book, New York: Barnes, 1917, ?th edition (score), 1931.